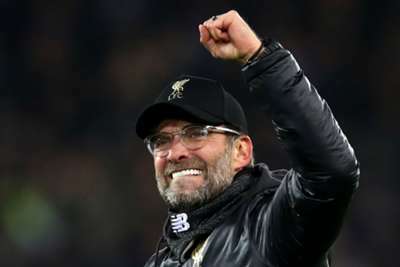 Jurgen Klopp has warned Liverpool that they will not come up against a more motivated team than when Manchester United visit Anfield on Sunday. United travel to their bitter rivals sitting 16 points behind them less than halfway into the season, with Jose Mourinho's side enduring a difficult few months. Liverpool look set for a serious title challenge and victory over United will see them return to the summit, ahead of Manchester City. In all competitions, United have won just two of their past seven games and could end the weekend 11 points behind the Champions League qualification spots if they lose at Anfield. But Klopp is not expecting the Red Devils to roll over, adamant their manager simply will not stand for anything less than a motivated performance. "I cannot think of another manager that would relish coming to face us as much as Jose," Klopp said in his programme notes. "It is without question we will face the most motivated opponent we will come up against all season, so for us nothing short of our best will be enough."